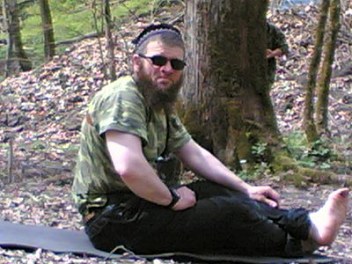 Last week several sites connected with the self-styled “Caucasus Emirate” published an interview with Dokka Umarov dated January 16, in which he summed up the past year and outlined plans for the coming summer. The text that appeared on the web site of Kavkaz-Center on February 14 is rather short on information, but we can make some guesses. First, Umarov said that during the course of the year the Emirate forces had suffered quite serious losses, from which we can probably infer that more than a hundred insurgents were killed. This figure does not seem exaggerated, since Kadyrov government sources give a similar picture. The only thing that remains unclear is whether Umarov was talking about the whole of the North Caucasus, or only Chechnya. Nevertheless, the idea of using reports of dead and wounded as proof of an enemy’s strength seems a logical and convincing one. Indeed, large losses can be sustained and absorbed only by a force that is strong and self-confident, unlike the band of a few dozen mountain warriors roaming the mountains in search of food and shelter described by President Kadyrov. The second point is that the insurgent forces have obviously developed a degree of discipline. In the interview Umarov says that the mujahedin have managed to regulate the process of inducting new recruits, who are now joining the ranks on the basis of an accurately assessed need for reinforcements, rather than by spontaneous decision. He claims that this new factor has been instrumental in reducing losses, which suggests that the Islamic insurgency is now mainly a guerrilla-style operation that cannot afford an unhindered increase in its ranks. Clearly, as Umarov himself complained last year in an interview for Prague Watchdog, the Emirate does not have the material resources to maintain large units, nor does it possess secure areas in which such units might be based for any length of time. The insurgents have to fight in small groups, and must regularly move their location in order not to be attacked by the federal forces, which have air, artillery and large military and spetsnaz units at their disposal. Umarov also stresses that the nine Amirs who are members of the “Madzhisul Shura” (the insurgent leadership's coordinating committee) "now have good links ... if there are serious and important questions, these questions will be promptly resolved by us." This centralization presumably makes it possible to overcome the difficulties that are inevitable when there is little or no coordination between units that previously chose to fight alone on the basis of their individual capabilities. Constant communication is also needed to conduct major operations. The brief excursion into the insurgency’s ideology is of little interest. Umarov merely claims that a "correct" Islamic consciousness has awakened, and that this process is advancing day by day. Umarov threatens to take the fight to Russia: "Blood will no longer be spilled only in our towns and villages. The war will come to their cities. If the Russians think that the war is only something that takes place on television, somewhere far away in the Caucasus, and does not affect them, then by Allah we are going to show them that this war will return to their homes. Therefore, the zone of hostilities will be extended to the whole territory of Russia..."
The programme outlined by the worthy Amir does not seem totally new. Even before the First Chechen War, Dzhokhar Dudayev threatened to send Chechen troops to Vladivostok in the event of hostilities. Such threats to “destroy Russia” were almost de rigueur at the time, and were a genre adopted by many, though not often in a coherent form. After the start of the Second War, Shamil Basayev tried to entangle Russia in a net of terrorist attacks in the hope of forcing its leadership to negotiate. Nord-Ost and Beslan put an end to those ill-founded plans. So is there anything new in Umarov’s rhetoric? I think there may be. No matter how blasphemous it may be to say so, the new terrorist doctrine appears to be more realistic. The head of the extremist insurgency does not expect, like Basayev, to be able to stage a repeat of Budennovsk. He does not expect negotiations or victory. He sets his goal beyond the political perspective – to make the war a condition of existence for everyone in Russia. It is hard to gauge the accuracy of Umarov’s assessment of the insurgents’ strength. On the basis of last summer’s operations we can say that the terrorist capabilities of the Caucasus Emirate have increased, and that the security forces have failed to stop this process. Is therefore quite easy to assume that if this trend continues, next summer will see a further increase in terrorist activity. © 2010 Prague Watchdog (see Reprint info). © 2000-2019	Prague Watchdog (see Reprint info). which aims to present a wide spectrum of opinion and analysis relating to events in the North Caucasus.